We are happy to introduce you to our new friend Antoine Rizotti. He is offering his expertise using die grinders in order to assist you with choosing the best tool for your needs. Enjoy! The Dremel tool is basically used for projects. Now choosing right Dremel tools depend on the kinds of projects for which one needs to use it. Design of a Dremel product is done ergonomically for ensuring that one hand does not get cramped or sore when using the tool. Each product comes with a handle having a soft grip which makes it more user friendly for usage and also gives more control when working on the projects. Dremel product comes with the one of the best warranties in the market. One needs to be assured before purchasing the Dremel product so that it is comfortable, reliable and very easy for usage. There are different types of Dremel tools available in the market. As Dremel products get heavier and larger they are handled variably. A good strategy does not include buying a powerful tool. So, one must know the procedure how to choose a perfect Dremel tool for their work. First of all, check about its battery and also about its price and brand. Choose a Dremel tool with a soft grip handle, as it will give comfort while working with it. Dremel tool comes with two variations, one with a cord and the other being cordless. So, choose a tool according to the desired workplace. Also check for the batteries, because those are the life of any Dremel tool. Choose a Dremel tool with lithium batteries because those are interchangeable and these batteries are better than nickel cadmium batteries and can hold a six times longer life. For single speed, fast rotation and super fine work choose a Dremel tool which is small in size. The choosing of a small tool will give more comfort while handling and working. Also look for a tool with more speed, and which is good for commercial use. For compact work, thin pen style Dremel tool will give the best results. Apart from this, before buying ensure that the Dremel tool you are buying will produce a little torque and good rpm. For outdoor purpose choose a tool, which works fine even in the rough surfaces. Difficult work like carving and cutting needs more power. Hence, a Dremel tool with a larger motor will be the best solution. Always check that the Dremel tool is producing the same power during the variation of speed and remain powerful during a prolonged rough work. If you are looking for a superior control, then look for the tool having foot pedal control. Hence, it is advisable to choose a small Dremel tool for producing little torque during rough work, and larger Dremel tool for cutting and fine work purpose. 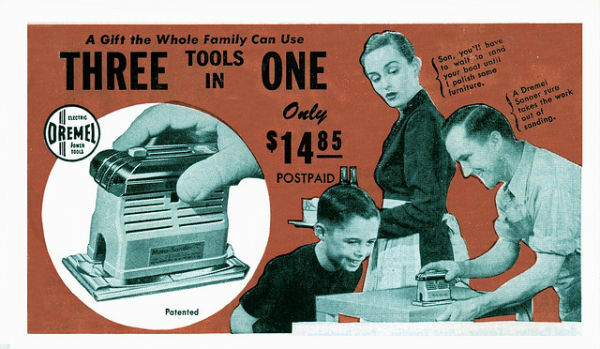 Also look for the attachments and accessories of a Dremel tool before buying, because having more attachment and accessories will make the tool more versatile. Always choose a Dremel tool set with good starter set and make sure it is coming to you with all recommended things. Choose a Dremel tool with your necessary kit, because it will save you money. If you are ready to spend money on a Dremel tool, then choosing of a Dremel tool with a full kit set will be the best as it comes with more bits and accessories. Before choosing a Dremel tool, other important things to check are the adding capabilities and functionalities. Always choose dremels which offer additional bits for cutting woods, metals and plastics for sanding, polishing, grinding. So, interested people are advised to go through the guidebook of a Dremel tool before investing money on it. Once, you choose a perfect tool according to your needs, rest will be a success story. In honour of father’s day, here’s a free file courtesy of Macquarie Engraving! Thanks Dave. 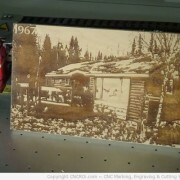 In this video, one of our Canadian registered businesses CNCROi.com laser engraves a wooden cottage on wood using their Trotec Speedy 400 flexx laser. CNCROi.com is a professional custom CNC shop based in Canada with clients worldwide that can engrave, etch, mark, anneal and cut any material for any application in addition to custom design / build solutons. We always find some cool laser and engraving work on Instructables.com. This time we found a way to create one of those cool, old school signs – you know the ones that hang out the front of religious and government institutions? Here’s a step by step way to make your own, courtesy of Instructables.com and from Ontario, Canada! If you are feeling creative, feel free to send some project images through to us! This item is reproduced exactly from the article on the Instructables.com website. You can also download the PDF by visiting the site here. Here is a step by step guide to making a custom sign using a Trotec Speedy 300. You want to pick a clean sans sarif font and lay out your letters in individual rectangular tiles. Layout your letters in the centre of your tiles. Make sure that the space between the edge of your letters and the edge of the tile is the same for all your letters and symbols. Reduce it only for punctuation tiles (apostrophes’ etc.) Keep in mind the size of the rails that you will be sliding the letters into. You want to be sure you account for these in the space you leave at the top and bottom of each letter. The layout part is all much easier if you keep all your letters as capitals. Lastly, you need to flip the orientation of the letters, since we will be etching the letters into the back of the tiles. I used 1/8″ clear acrylic for this project. Make sure that you keep the paper backing on the acrylic when you cut the letters out. This way only the letters will be exposed. Once cut, tape the exposed edges of each tile. This will make ensure they are not painted along with the letters. Spray paint the tiles in your choice of colours and remove the tape and the paper backing from the front and back. Use the size of your letter tiles to inform the size of your overall sign (or vice versa if you need a particular sized sign). I laid mine out to hold 3 rows of letters plus have enough room above for two holes to hang the sign. To make sure that the letters can slide in and out easily, I applied an etch to edges of the rails that cover the letters. I use methylene chloride for the assembly. You can use crazy glue if you prefer, but this yields a much cleaner result in my opinion. If this is your first time using methylene chloride you need to use a sable or other real hair brush to apply it. Methylene chloride has the consistency of water and wants to run along seams. Running a wet brush along an edge and holding it tight for a minute is enough to give you a tight fix. Once you are ready to start sticking all the parts together, begin from the bottom up. This will give you another chance to check your spacing as you go. Once the spacers are in you can stick the rails to the spacers. Make sure to keep the edges flush as you go. Step 8: Add chain or cord and tadaa! Here is the sign just before i took off the final bits of protective plastic. You can save yourself some taping and painting, by etching your letters into lasercore. This two tone material will give you bright clean letters on a white background in one step! We’ve had some great laser engraved guitar shots come through the Engravers Register recently (the picture below is from Evright.com). Our Global Premium Partner Trotec Laser Canada just released this youtube tutorial on how to laser an image on an acoustic guitar (wood engraving). Get in touch if you’re looking for a local business to do a special gift of your own, we have businesses throughout Australia, New Zealand, Canada and the United Kingdom who can assist. Want to know how to create some additional interest and add fun to your pastry, cookies or dough? Here, we show you how to deep engrave a rolling pin to leave fun impressions. Originally posted on Trotec Laser UK website. Want your kids to eat their dinner? Try some dinosaurs (or anything) for something different! The attached file is for a rolling pin that is 25.4 cm long and 6.07 cm in diameter. We were browsing through a range of youtube laser engraving videos in our down time and came across a couple of interesting videos perfect for The Engravers Register news. One of the first we wanted to share was from one of our registered Canadian businesses, CNCRoi.com. Jon has been a great supporter of the register since we commenced in Australia in 2012, and upon returning to his native Canada in 2014 has significantly grown his business with his new Trotec Laser Speedy 400. CNCRoi.com is based in Ontario, but does engraving jobs across North America and the world. So, with minds still on holiday mode from Christmas and New Year, we thought we would start with a laser engraving beach pebble stones video. Still yet to find a laser engraved stone on the beach… it’s the new message in a bottle perhaps? Sift 285g of the plain flour and three-quarters of a teaspoon of salt into a large bowl. Add 115g of the butter and 60g of the vegetable fat. Rub the mixture together with your hands until it looks like coarse breadcrumbs. Add 6 tablespoons of iced water and knead the dough together. Gather it into balls, wrap it in clingfilm and store it in the fridge. 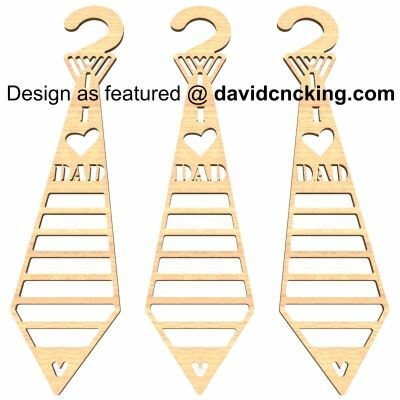 Import the attached PDF into your laser-cutting software. You will probably need to test quite a few different settings until you get it right. Break off a bit of the dough and put it on a sheet of greaseproof paper. Roll it out to about 3mm thick. Place the dough and greaseproof paper on the wooden chopping board and pop it in the laser cutter. Depending on how thick your chopping board is you might need to take the honeycomb mesh out of the laser cutter bed to fit it in. When cutting, the greaseproof paper will avoid the dough sticking to the board, and the board will make sure you don’t damage the bed of the laser cutter if you overshoot. Heat the oven to 220 C / 425 F / Gas mark 7. Fill a large heat-proof bowl or saucepan with boiling water. Drop the peaches into the boiling water for at least 20 seconds, then transfer them into another bowl filled with cold water. Leave them to cool down, them peel and slice them. Put the peach slices into a large bowl and add the sugar, cornflour, nutmeg, cinnamon and lemon juice. Put the bowl to one side. Sift the rest of the plain flour and half a teaspoon of salt into a bowl. Knead in the rest of the butter and vegetable fat, add 3 tablespoons of iced water and mould it into a ball. Roll out the dough about 3mm thick. Transfer it into the pie tin and trim off the edges. Keep the trimmings for decorating the crust later. Beat the egg with 1 tablespoon of iced water and brush the pastry base with the glaze. NOTE: This photo is from the first time I tried this recipe, when I tried lining the pie tin with greaseproof paper to make the pie easier to remove. The paper ended up burning as the pie takes so long to bake, but you might want to use tinfoil instead if you want to transfer the pie onto a plate for serving. Pour the filling into the pie, piling it a bit higher in the middle. Dot with the 30g of butter. Arrange the leaves on top of the filling, starting at the outside and working your way in. Finish it off by rolling some of the pastry trimmings into balls and using them to cover the hole in the centre. Bake the pie for 10 minutes, then lower the heat to 180 C / 350 F / Gas mark 4 and bake it for another 35-40 minutes. Check on it regularly as the crust is prone to burning (see pic 2 for my first attempt at this, which went slightly wrong). Our global premium partner Trotec Laser Canada sent us this Youtube clip, letting us know we could use it on the Engravers Register blog. If you’ve ever been frustrated by not being able to correctly replicate a scanned image with your laser machine, then watch how to vector and clean the image so it’s laser cut perfection! Enjoy.